Categories: Chocolate, Pretzels, Yellow, The Chocolate Girl. 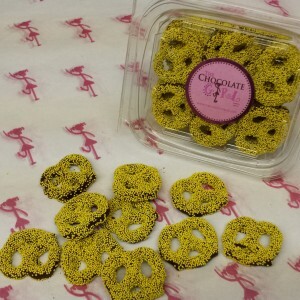 Tags: bite size, chocolate dipped pretzels, katz, pret, Yellow. 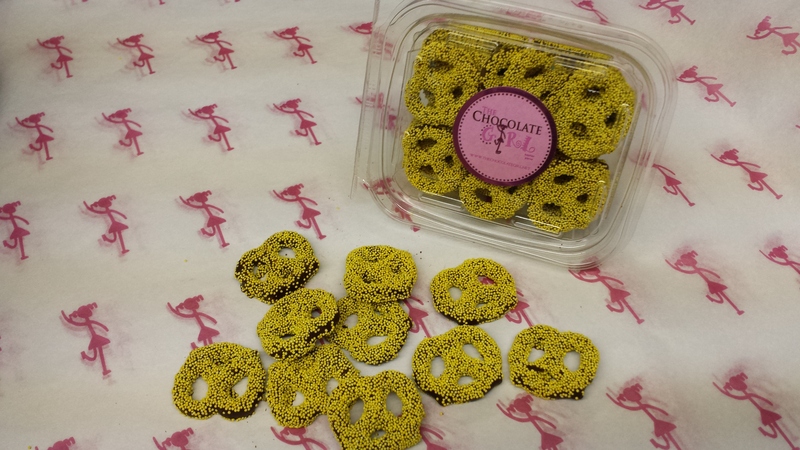 This Bite Size Chocolate Pretzel really packs a colorful crunch!